4-Hexylresorcinol (4-HR) is a food additive used as an antioxidant. 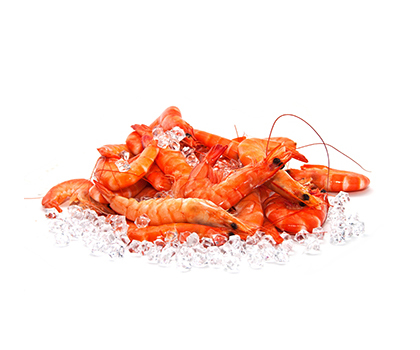 Its primary application is to prevent the appearance of black spots on shrimp and other crustaceans and molluscs. It has also been used to prevent browning in pre-cut fruit and fruit purées. Outside of the food stream it is used in mouthwashes, lozenges, and other oral antiseptics. 4-HR has shown no negative health effects at levels reasonably expected as a result of normal eating; levels at which effects are seen would be impossible to achieve through seafood consumption. In a test where two humans ingested large single doses of 4-HR, to establish absorption, no negative short-term effects were seen. Across decades of use no allergenic or intolerance reactions have been reported. 4-HR residue decreases across time, even on ice. As residue decreases, the appearance of black spots on shrimp increases. Maximum allowed levels of residue have only been accomplished in testing by treating the food items with a 4-HR solution for upwards of three days. During normal production, crustaceans are dipped in a 4-HR solution typically for up to two minutes.